Shirley Ann Jackson, born in 1946 in Washington, D.C., has achieved numerous firsts for African American women. She was the first black woman to earn a Ph.D. from Massachusetts Institute of Technology (M.I.T. ); to receive a Ph.D. in theoretical solid state physics; to be elected president and then chairman of the board of the American Association for the Advancement of Science (AAAS); to be president of a major research university, Rensselaer Polytechnic Institute in New York; and to be elected to the National Academy of Engineering. Jackson was also both the first African American and the first woman to chair the U.S. Nuclear Regulatory Commission. Jackson’s parents and teachers recognized her natural talent for science and nurtured her interest from a young age. In 1964, after graduating as valedictorian from her high school, Jackson was accepted at M.I.T., where she was one of very few women and even fewer black students. Despite discouraging remarks from her professors about the appropriateness of science for a black woman, she chose to major in physics and earned her B.S. in 1968. Jackson continued at M.I.T. for graduate school, studying under the first black physics professor in her department, James Young. In 1973, she earned her Ph.D.
Shirley Jackson completed several years of postdoctoral research at various laboratories, such as Fermi in Illinois, before being hired by AT&T Bell Laboratories in 1976, where she worked for 15 years. She conducted research on the optical and electronic properties of layered materials, surface electrons of liquid helium films, strained-layer semiconductor superlattices, and most notably, the polaronic aspects of electrons in two-dimensional systems. After teaching at Rutgers University from 1991-1995, Jackson was appointed chair of the U.S. Nuclear Regulatory Commission by Bill Clinton. In 1999, Jackson became President of Rensselaer Polytechnic Institute, where she still serves today. In 2004, she was elected president of AAAS and in 2005 she served as chairman of the board for the Society. 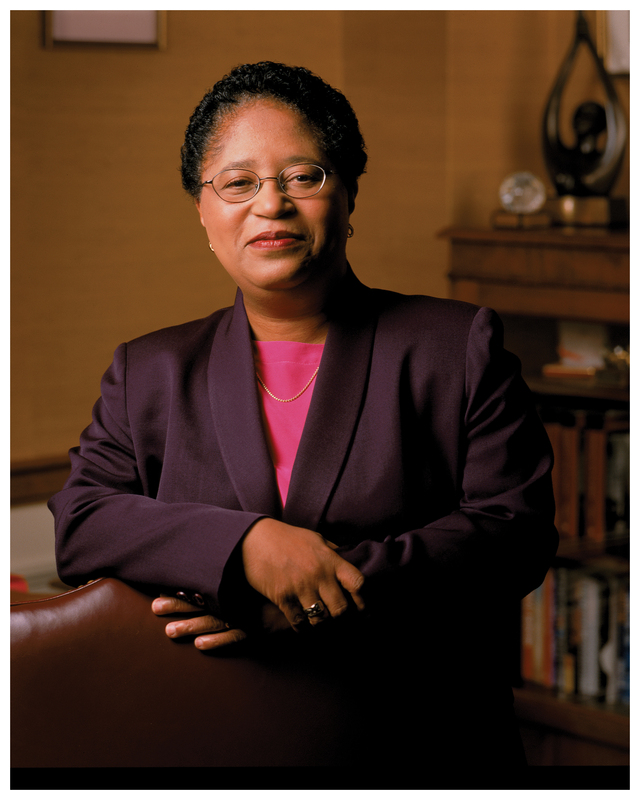 Dr. Shirley Jackson is married to a physicist and has one son.